What is rendering? What is it used for? scene in a 2D Batman cartoon or as complex as an action-packed scene in a Transformers movie. tens of thousands of parallel GPUs in the cloud today. comfortably in your own home. rendering services becomes a vital and inviting challenge. space, none of which the average game developer, student, or designer could have access to. rendering software to everyone with a creative vision. stunning works in a fraction of the time. partnerships to provide their solutions to millions of users. token system creates a much more efficient, powerful, and widely-scalable rendering network. could then be converted into crypto or fiat currency. tasks on a peer-to-peer basis. reliable rendering facilitated and kept track of by the blockchain. accounts once the allotted render job has been completed. into Ethereum and convert to fiat currency if they wish. plug-in, allowing for easy access at any time. and once complete, sends the completed task back through the Render Network. 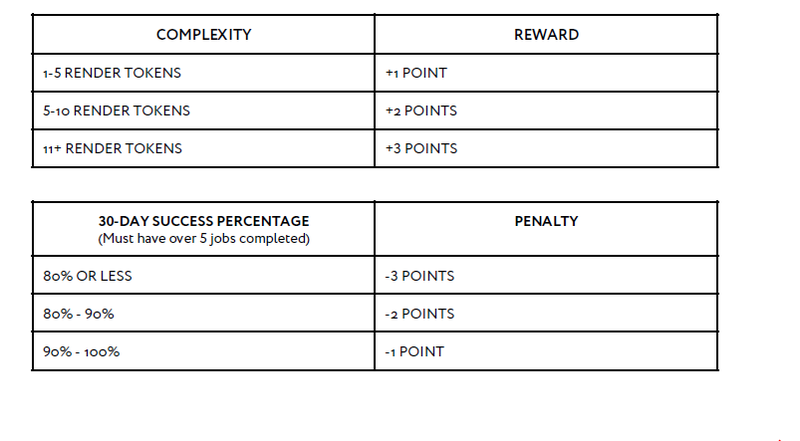 task to the user or server that completed the task via the smart contract. a benchmarking unit created by OTOY to reflect the processing power of various GPUs in a rig. there is no wasted GPU power. of all stakeholders in the network, allowing it to run smoothly and efficiently. 1. Success! The user gains 1 point and now has a ranking of 61. 2. Fail. The user loses two points and now has a ranking of 58.
reimbursed and the Randy’s ranking will decrease. priority for the render job because they have rank over User A.
processes. For example, let’s say that Jason submits a job to be rendered on the network. public in order to not divulge information to those looking to take advantage of it. The first network to transform the power of GPU compute into a decentralized economy of connected 3D assets. We aim to make it possible for any 3D object or environment to be authored, shared, and monetized through the Ethereum blockchain protocol. The RNDR token is powered by breakthrough cloud rendering technology, creating a distributed global network of millions of peer GPU devices. The future of rendering envisioned. 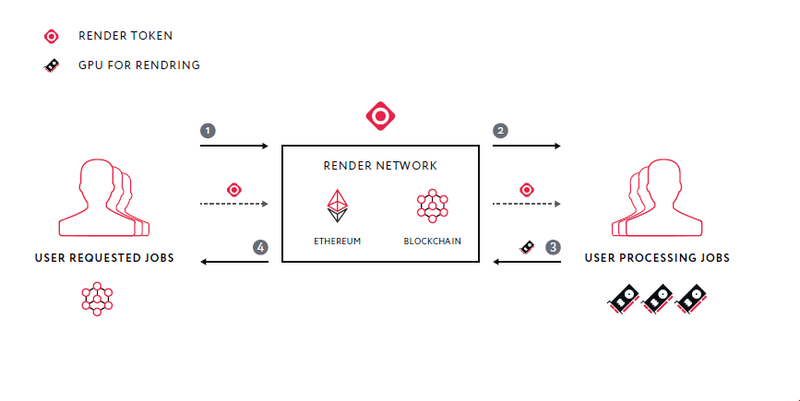 Once a render job is registered on the RNDR blockchain, it underwrites an entire ecosystem of services. Through smart contracts, users join our network to contribute GPU compute power. 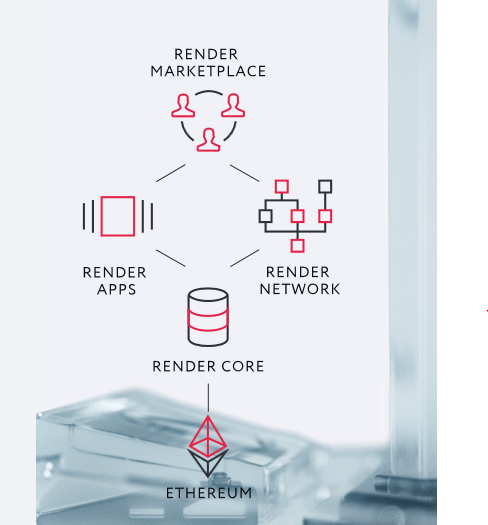 A range of users then enhance the network with render apps — artists, scientists, engineers, retailers, all augment render tasks to accrue value. From crowdsourced 3D projects to digital rights management, RNDR creates a new marketplace to fund digital ideas, assets, and applications that anyone can join. exchange tokens for rendering services that will be kept track of and facilitated by the blockchain. framework for a reliable transition into the peer-to-peer framework of rendering. easily utilize their GPU power for rendering and streaming jobs in exchange for Render tokens. launch of the network and testing will take place in this phase. completely automated through smart contracts and blockchain development. of custom streaming permissions, copyright protection, and unique render creation and publishing. framework that we have envisioned for the future of this project. Token and ORC Network framework. dedicated to the operations and engineering of the Render Token platform. lowering the price of rendering across the network and the world. 10% - for third party services and contractors providing guidance and efficiencies to the project. 5% - for unforeseen roadblocks and circumstances. RNDR Token Registration Opens Today at 4pm UTC! We are very excited to announce that registration for Render Token will open on our site at 4pm UTC today. In order to access the registration, please visit rendertoken.com at the time of opening — there will be a button on the first page that will take you to the registration. To make access easier, we will update this post at time of opening with the direct link. Once you submit this information on the form, we will email you to confirm your registration. For more information, visit our RocketChat or Twitter! We are pleased to say that we are less than 24 hours away from the official RNDR Token Sale Launch! For those that registered, contribution will begin at 4:00pm UTC on October 5th. One hour before the sale, we will be posting a link on this article that will take you directly to the contribution page. 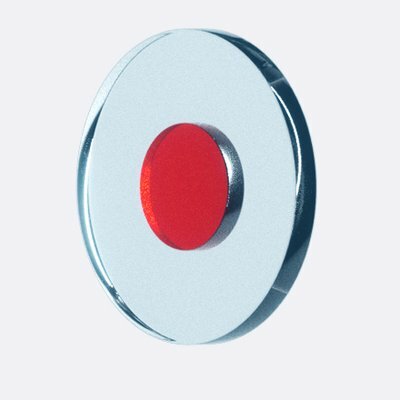 We will also have a contribution button on our website, www.rendertoken.com, approximately 10 minutes before the sale commences. Once on our sale page, if you are registered for the sale, you will have the opportunity to input your registered ETH address and contribute in ETH to the Token Sale. Addresses not previously registered will not be able to contribute to the sale at this time. Rolling registration will open on October 8th for those not currently registered. For more information, visit our RocketChat, Twitter, or Reddit!